Terra Peninsular was established on April 20, 2001 in Ensenada with the mission of protecting the ecosystems and wildlife of Baja California. We recently found a female snowy plover that has nested for the second consecutive year in this area, we named her Marina! On March 31, the Punta Mazo Nature Reserve hosted a volcanic challenge: the Reto Volcánico race, an event organized by Baja Brains. 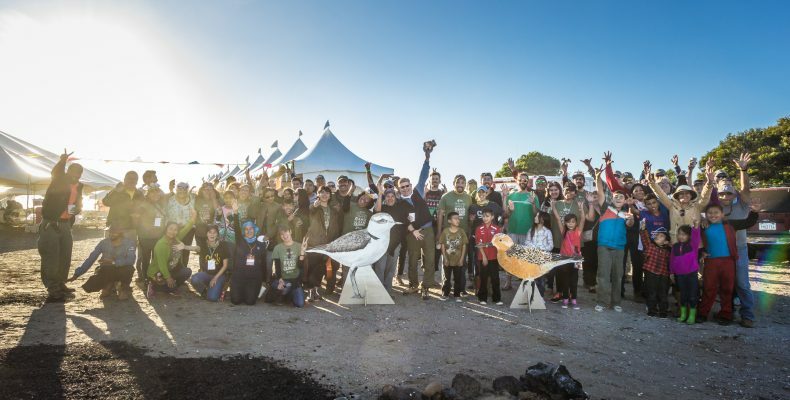 2018 was a great year for the 4th San Quintín Bay Bird Festival, an all-terrain adventure joined by old and new friends. Last Wednesday, February 12, the seminar “Environmental Value of San Quintín Bay” was held at the facilities of Driscoll’s. Hi my name is Erica Gaeta, and I am currently working on “Bi-national Monitoring of Wintering Long-billed Curlews in Mexicali Valley and Northern Gulf of California, Mexico” project.